For the last several years SquareEnix has been pumping out Final Fantasy remakes across multiple platforms, in truth they’ve been in the business of re-hashing Final Fantasy titles since the days of the original PlayStation. 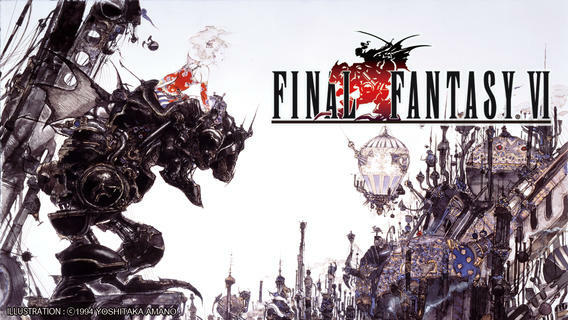 This time around SquareEnix has released one of the most beloved Final Fantasy titles of all time, Final Fantasy VI. This isn’t the first time they’ve remade the sixth installment in the series though, the title had been re-released on the original PlayStation with several cinematic cut scenes added to the game and without changing the original game graphics. It was also released on the GameBoy Advanced with added content and some dumbed down graphics to run on the handheld device. So the question now, is how does this latest remake of Final Fantasy VI stack up compared to the original or its previous re-releases. 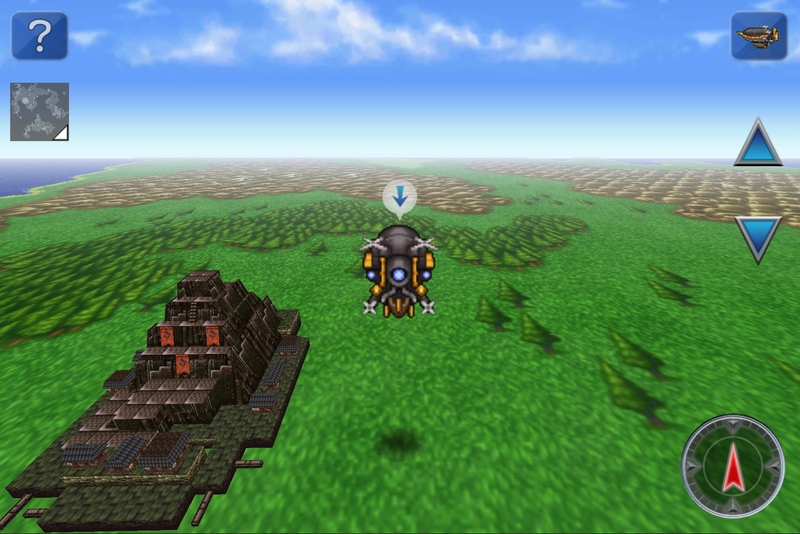 The first thing I’d like to touch on is the graphical overhaul between the original release of Final Fantasy VI and the latest release on iOS and Android devices. As this seems to be the largest topic of debate, with long time fans screaming blasphemy for making such dramatic changes to character sprites, and others praising the clean HD upgrade. This is a difficult topic to touch on, because there really isn’t a correct answer or assessment in this category. For fans looks to rekindle the flames of nostalgia, the new look can come across as a insult to the original sprites. However on the other hand, newcomers to the title, might find the new look more refreshing and easier for the eyes to fix on for hours on end. In the current state of the game I do find that the graphical overhaul does come short of some expectations though. The example, they redid the main character sprites, but ultimately left the enemy sprites the same. The monsters did receive a overhaul as far as making them look better in a higher resolution, but you’ll still run into ancient dragons that look exactly like a Brachiosaurus. You also won’t find any of the well done cut scenes from the PlayStation remake, which could have easily been imported into the game. The best assessment I can give as far as the graphical overhaul, is that some will love it and others will wish they had just left it untouched. I feel that if SquareEnix would have taken the overhaul a step further by recreating some of the monsters to fit what they were actually meant to be, this overhaul would have gone over a lot better with fans of the original title. Obviously a big change from previous remakes and the original title is going to be the way the game is controlled. Rather then just slapping a virtual gamepad on screen, SquareEnix redid the entire UI to better fit for touch screen controls. 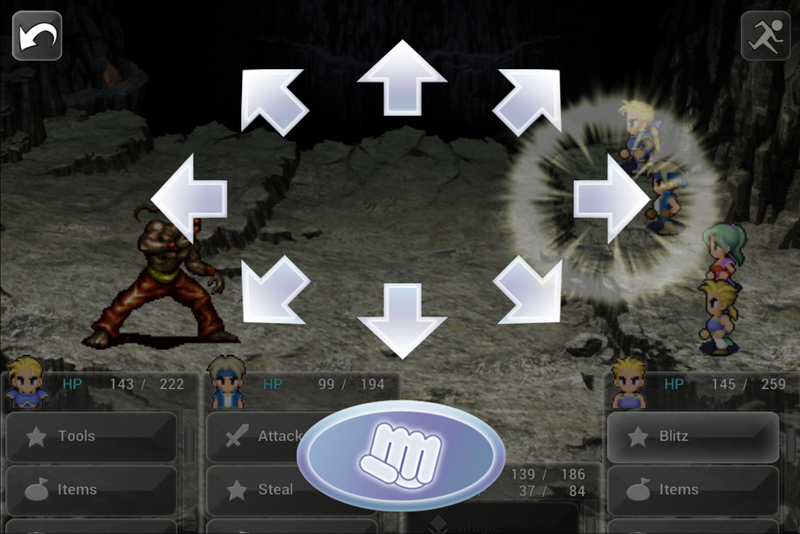 Navigating through menus is definitely a breeze and even using certain move sets like Sabin’s Blitz attacks work well with touching directional arrows to input commands normally done on a controllers D-Pad. Where you’ll find faults in the control scheme is going to be navigating the world. You’ll use a virtual joystick to move your character, which has the option of being either 4-directional or 8-directional. The issue I had with this, is that the joystick moves to where ever you place your finger each time, often playing the joystick off screen or moving it just a hair to make you move in a direction you didn’t want to go. There’s also no action button on screen, in order to open doors or talk to NPC’s, you’ll merely tap on screen when a little exclamation point shows itself. The issue with this, is that you also tap the screen to bring up the joystick, this will cause you to talk to NPC’s when you’re just trying to move around them, or even pull switches and enter battles you didn’t yet mean to initiate. If you can manage to get around the occasionally frustrating control scheme, you should find that the touch controls all around make a good fit for the title. Final Fantasy VI has been renowned and beloved by many gamers for many years and for good reason. 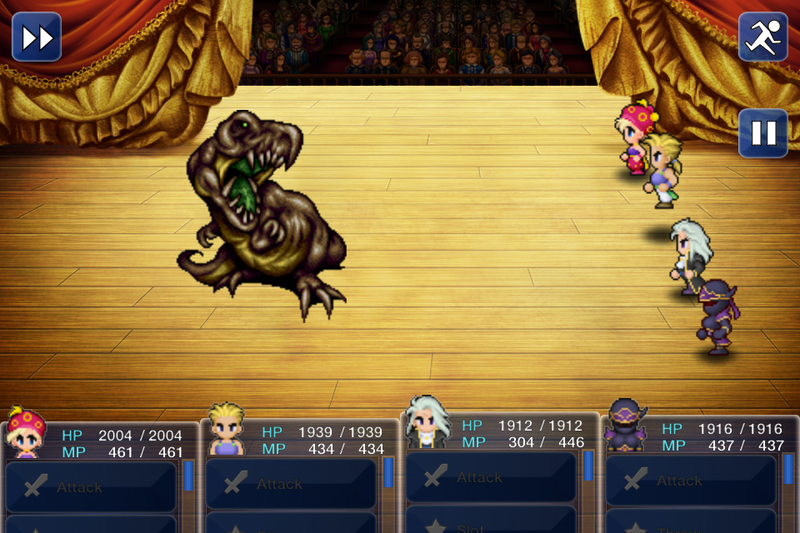 Final Fantasy VI was the last 2D Final Fantasy game and because of that, it shines on gameplay that JRPG fans have loved from the 8-16bit era, it also gives players a enjoyable story with game mechanics that we still see today. 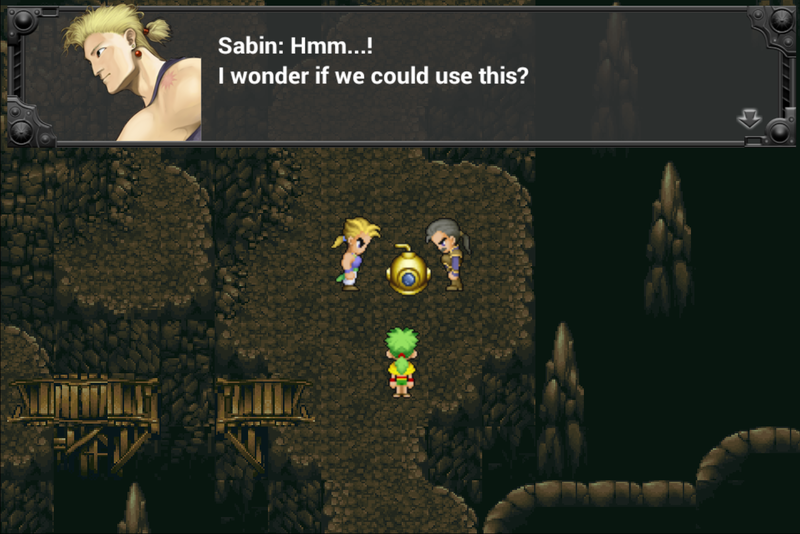 One thing that I believe made Final Fantasy VI so unique and made it such a legend in JRPG’s, is that it not only offers a open world section allowing you to play through the remaining story in whatever order you like, but it also offers a good amount of optional characters that can join your party. In fact, I actually had made it all the way to the end of the game when I realized that I missed a crucial step half way through the game to obtain the character Shadow. Though I wouldn’t consider myself a completionist by any means, this was one instance I was willing to restart my 40 hour gameplay just to unlock that character for my final party. The games story is easy enough to follow along, but will still add a sense of investment to the characters and the world around them. Plenty of enjoyable scenes with either deep emotional dialogue or outrageously inappropriate from its time dialogue. It would be hard to imagine that anyone who is a fan of classic RPG games wouldn’t enjoy the story and characters in this title. As far as combat, story missions, and side quests there is plenty for the player to do. I’ve invested over 40 hours in my last playthrough of the game exploring areas looking for powerful monsters, delving deep within caves for powerful items, and sailing the skies in search for a rare and mighty dragon. Though many of the late game activities are optional, it’s very difficult to muster the strength to ignore them all together. Other than controls and graphics the game has remained mostly untouched, it has however adapted several additions that were not included in the original title. My favorite addition is that of the Dragon’s Den. It’s a end game dungeon that was intended and even coded into the original game, but he developers never enabled it into the story. For anyone who played the original SNES version of the game and hasn’t played later remakes will find that this Dragon’s Den is worth the playthrough again. You may also find some smaller additions like new Espers (the games form of summoning monsters to your aid) as well as some dialogue changes and items being renamed. Anyone who is a fan of the original Final Fantasy VI and who owns either a Android or iOS device, this should be a no brainer. Even if you’re like me and you’d rather have the original graphic set, you’ll still find it hard not to enjoy this memorable remake. For those who have not played the title before and are fans of the genre, should enjoy the experience just as much, if not more then those who are revisiting the world of Final Fantasy VI. The price tag isn’t generous, the controls aren’t perfect, and there could have been more of a effort in the HD remake graphically, but that doesn’t stop this amazing title from being one worth remembering. The game is currently priced at $15.99 on both the AppStore and Google’s Play Market, the download runs between 500-600MB and requires Android 3.2 or iOS 7.0 or later versions.